As a premium dealer and wholesaler of Castrol, OTV International offers the whole range of Castrol EDGE. Also Castrol EDGE 5W-30 LL with Fluid TITANIUM. From our office and warehouse in Weener, Germany we are happy to offer this product at very competitive wholesale prices. Please fill in the form at the bottom of this page and we will send you our best prices! Why Choose Castrol EDGE 5W-30? 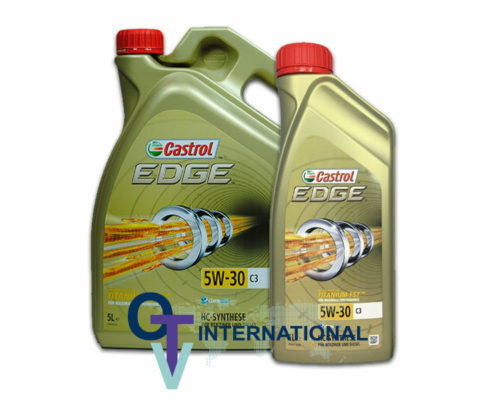 Castrol EDGE 5W30 is a very good choice for car owners that need a lubricant that meet the needs of maximum engine performance. Especially for modern vehicles that requires high performance lubricants. With Castrol EDGE 5W30 the engine also has a high level of protection.